By the end of September, most college students will have arrived on campus, even late starters on the quarter system. As your favorite college students settle into their new homes, send a care package to let them know you love them, whether you’re a friend, parent or sibling. It doesn’t cost much to send a thoughtful care package if you follow the Nerds’ top tips. When evaluating what surprises to send, look for items that are tasty, fun or practical. Even students with access to a dining hall (or perhaps them most of all?) will be thrilled to receive some edible goodies in the mail. Stock up on your college student’s favorite candy during Halloween sales or at discounted stores like Grocery Outlet. Packaged nuts and dried fruit make a great snack to keep your student awake during long lectures. If you enjoy baking, send homemade cookies, as long as you choose dry and crispy varieties rather than soft cookies with high butter content. Gingersnaps, crunchy chocolate chip cookies and snickerdoodles can be mailed easily — just remember to store baked goods in an airtight container after they’ve cooled. You can also throw in some specialty items, such as hard-to-get regional or ethnic products for students who’ve moved far away. If you’re the parent of a student who’s recently discovered cooking, write some favorite family recipes on flash cards or in a small notebook. When looking for fun items to put in your package, opt for gifts that are small, light and unlikely to break. Consider earrings, scarves and quirky socks. A personalized mix CD or favorite book is a great gift from a friend. You can also print out photos of family and friends back home. This gift fits easily into an envelope and is a great way for students to decorate their dorm room (and maybe cope with a little homesickness). Don’t forget practical items. Consider extra easy-to-lose toiletries that your college student might have forgotten to pack, like dental floss, lotion and nail clippers. Other useful items include vitamins, a small sewing kit or an extra USB drive. And since, after all, college is about studying, your student will probably appreciate a pencil case packed with quality pens, highlighters and Post-Its. To encourage your collegiate to keep in touch by mail—perhaps with non-texting grandparents—include lined paper with stamped and addressed envelopes. To keep your expenses low, try to buy food items in bulk, on sale and at discount stores. Check around the house for extra items you can send. Consider buying books, scarves and jewelry secondhand. Handmade items can also save you money, and may be especially meaningful. There’s no need to spend money on packaging materials if you reuse and plan ahead. Decide what kind of packaging you’ll need: a box, parcel, just a large envelope? Don’t wrap your package at home if you’d actually be better off with a flat-rate box from the post office. 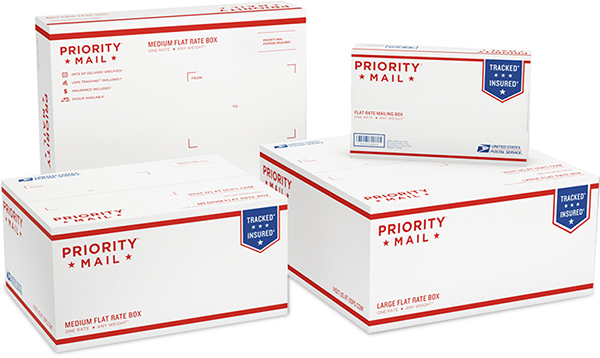 If you’re planning on taking advantage of USPS flat-rate options to send your package, get boxes at the post office for free. To keep items from rattling around in the box, use leftover packing materials you may have accumulated if you’ve shopped online or received your own care packages, such as foam peanuts, bubble wrap and those small bags of air. If you don’t have any handy, substitute paper towels, tissues and balled-up plastic bags. 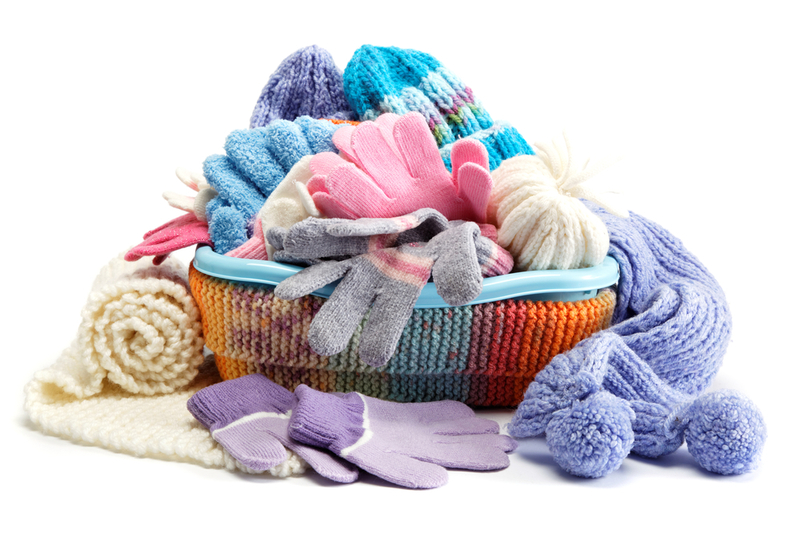 Better yet, throw in some soft items to serve as both packaging and presents — scarves, soft gloves and socks are great ways to fill empty spaces in boxes and give your college student an extra gift to unpack. If you’re not using flat-rate shipping, look around at home. With some tape, scissors and a bit of creativity, you can assemble your own packaging supplies from the leftovers of packages you’ve received in the past. Manila envelopes can be reused if you cover old addresses and barcodes with labels and stickers. Alternatively, cut the envelope open, turn it inside out and use it to wrap a small, flat package like a book. Brown paper grocery bags also make sturdy wrapping paper for rectangular packages. Cut up the bags, tear off the handles and wrap your box with the blank side face-up. If you’re mailing books or other water-sensitive items during a rainy period, cut up a plastic grocery bag, wrap and tape it around the book to protect it, and then cover it with a manila or brown paper exterior. In most cases, the U.S. Postal Service will be your best bet for cheap shipping. For heavy items, consider using USPS flat-rate boxes. The boxes, which themselves are free, are available in three sizes and are shipped at a standard rate regardless of weight: $5.80 for a small, $12.35 for medium and $17.45 for large. 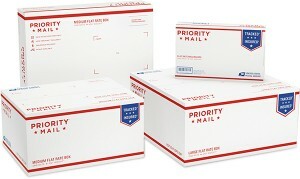 If your package is especially large and heavy, it might be worth comparing prices at USPS, FedEx and UPS. While the post office is generally the cheapest option, other mail carriers might be able to offer worthwhile deals for exceptionally bulky and heavy boxes. 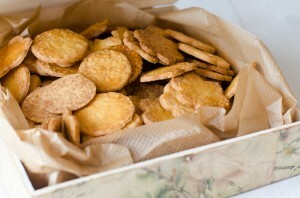 Images of package, winter items and cookies via Shutterstock.